You know that your head hit the dashboard of your automobile even though the unexpected impact is, but a blur. The pain in your neck and back, and the bills from the hospital for treatment, remind you that the pain is not all in your head. You were, indeed, involved in a car crash. Many Americans, like you, sustain personal bodily injuries each year that require hospitalization. Many more seek medical treatment for injuries, bypassing the hospital. You – especially if you reside in Florida – are likely to be responsible for collecting financial reimbursement from your insurer to cover your medical bills and lost wages related to your injuries. In a perfect world, time and treatment would ease you back to a health and normalcy, your financial burdens would be compensated adequately, and the misfortune you did not ask for would be a fading memory. Welcome to reality, where, too many times, victims are not treated fairly. Attorney Marc Semago understands your feeling of powerlessness. For more than a decade, he has served as a great equalizer who balances justice and law in personal injury claims, medical malpractice proceedings, slip-and-fall incidents and product liability lawsuits. 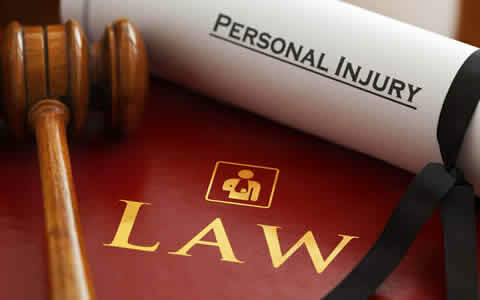 Unfortunately, at some time, a personal injury is likely to touch you. Traffic crashes– 5.5 million in the United States each year1 – construction mishaps – about 3,650 annually2 – defective products, medical malpractice and even dog bites are common, everyday misfortunes that affect people from all walks of life. Injuries due to the negligence of another – a careless driver, a healthcare worker who fails to provide competent and reasonably-skilled care, property owners or employers who fail to keep their premises safe, or manufacturers or companies along the supply chain that put defective products in the lives of unknowing consumers – can turn lives upside down. The truth is only a few personal injury claims reach trial. That said, Mr. Semago has actually tried cases. Prior to joining FL Legal Group, he spent a decade involved in personal injury and consumer protection litigation, malpractice, motor vehicle claims, vaccine litigation and product liability lawsuits with nationally recognized law firms in the southern United States and Florida. Mr. Semago understands the stress and the consequences related to extended time away from work, but he also knows the intricacies of the justice system and the medical industry and will exhaust all options to do what is best for you and to restore order to your life. Mr. Semago is active in professional circles. 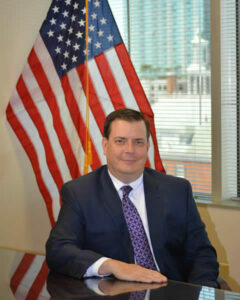 A member of the Florida Justice Association and previously of the American Association for Justice, he has authored articles published in the Journal of the Florida Justice Association and Hillsborough County Bar Association Magazine. 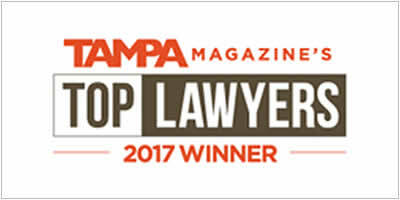 Recognized by Super Lawyers Magazine as a “Rising Star” and by Florida Trend Magazine “Legal Elite” as an “Up and Comer,” Mr. Semago is a fixture at professional association meetings as a guest speaker on legal and ethical topics. Mr. Semago earned his Juris Doctorate from Stetson University College of Law, Florida’s oldest law school, where he served as a member of the nationally recognized mock trial teams, a teaching fellow for legal research and writing, and teaching assistant for trial advocacy. He also served with distinction as President of the Stetson chapter of the Federal Bar Association. He earned his undergraduate degree at the University of Virginia, one of the most esteemed and historically significant universities in the United States. Insurance companies and large manufacturers with access to immense resources and deep pockets can be intimidating. But, the notion that the irresponsible behavior or carelessness of a company or individual has left you a helpless victim does not sit well with Mr. Semago. Assuredly and prepared, he will walk with you and bring the high level of compassion that your case demands. Call 1-800-984-9951 for your no-cost consultation and your first step in the right and just direction. 1National Highway Traffic Safety Administration, (2017). TRAFFIC SAFETY FACTS 2015. Retrieved from https://crashstats.nhtsa.dot.gov/#/. 2U.S. Bureau of Labor Statistics, (2015). Occupational Injuries and Illnesses and Fatal Injuries Profiles. Retrieved from https://data.bls.gov/gqt/ProfileData.